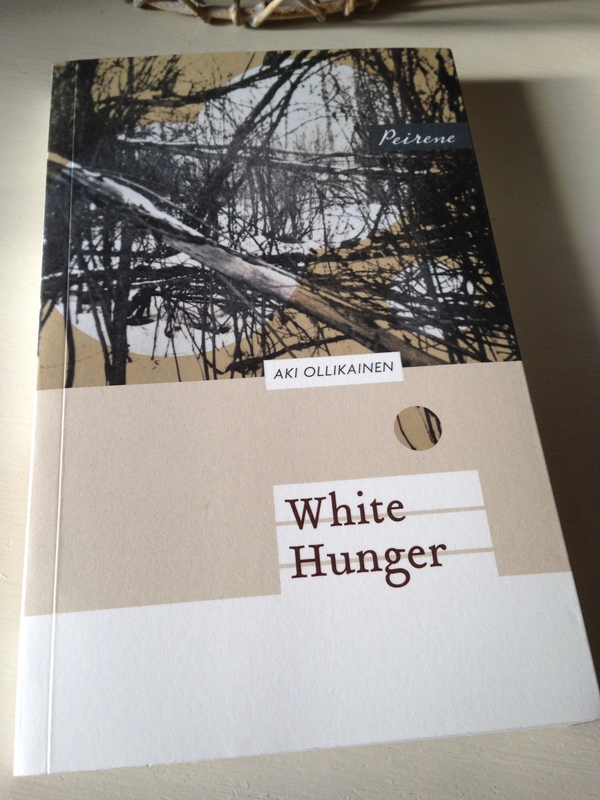 Finnish writer Aki Ollikainen’s debut, White Hunger, is the first novella in the Peirene Press Chance Encounter series (their theme for 2015). This bleak yet poetic story is rather remarkable, and it’s my favourite Peirene release in quite some time. The setting is the Finnish countryside in the winter of 1867. Successive years of crop failures, widespread famine and the harsh winter weather have taken their toll on the inhabitants of the country. Ollikainen’s story focuses on a farmer’s wife, Marja, and her family. As we join them, Marja’s husband, Juhani, is dying. There is nothing more that Marja can do for him, so she wraps her two children, Mataleena and Juho, in their clothes as they set out on foot in search of food. They must move if they are to have any chance of survival – to remain in Korpela would bring death upon the whole family. She thinks angrily of Juhani refusing to eat and giving everything he could lay his hands on to her and the children. It was stupid: the man should have looked after himself so that he could take responsibility for his family. She and the children would have stayed alive on less, but now, without Juhani, they would not survive the winter in Korpela. Marja’s aim is to make it to St Petersburg where there is rumoured to be food. As the family travel south, they encounter a variety of people, most of them strangers. Some take pity on them offering shelter for the night and bowls of thin gruel for the children; others are more territorial shunning Marja’s family while they prioritise their own. They are often labelled as beggars (or worse). The most they can hope for is a piece of bread made from the bark of a tree, and maybe if they’re very lucky, a morsel of dried pike. All the while, the hunger persists. Mataleena walks behind her mother, treading in the footprints, holding her coat more tightly to protect herself from the blizzard. She does not hear the rumbling of her stomach, but she feels it. Thousands of others are also on the move, all of them just as desperate for food and shelter. There are several distressing scenes along the way. Marja’s nights are dominated by nightmares, terrifying dreams of all the horrors she has experienced or may have to face in the coming days. By day, she hallucinates as visions of the elusive St Petersburg taunt her mind. The wind decides now on a direction and pushes Marja over the bridge. Swirls of snow lap around her feet; the current no longer flows under the bridge but along it, towards the snow plain on the other side, where the road vanishes. White Hunger is a short book, so I don’t want to reveal too much about the plot. Save to say it’s a devastating portrayal of humanity at the very brink of survival. It might sound utterly unbearable, but the story ends with a few glimmers of hope, signs of spring and the possibility of renewal. A chance encounter proves vital in the face of adversity. Add to that the quality of Ollikainen’s writing. His prose is spare and controlled – it has a poetic feel, which serves to highlight moments of beauty amidst the bleakness. White Hunger is a hugely impressive book, one with the feel of a classic in miniature. A timely story conveyed with real skill and gravitas. This novella has been widely reviewed elsewhere – links to a range of other reviews can be found on this page from the Peirene Press website. Grant (of 1streading) has just published this excellent review. Source: review copy kindly provided by the publishers. This entry was posted in Book Reviews, Ollikainen Aki and tagged #TranslationThurs, Aki Ollikainen, Emily Jeremiah, Fiction, Finland, Fleur Jeremiah, Literature in Translation, Peirene Press on October 13, 2015 by JacquiWine.